Argonauta-The Beach at My Back is available for purchase online through Anka Gallery. JParadisi RN, OCN is a multidisciplinary artist with a focus in painting and writing. 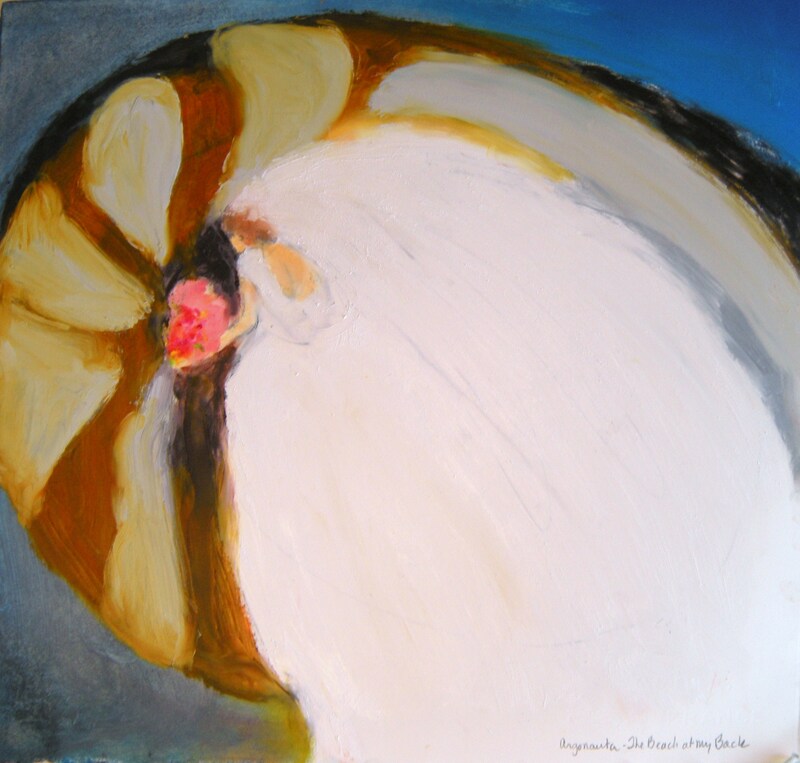 Her paintings and short stories have been published nationally. She has exhibited artwork in galleries throughout the Pacific Northwest. Julianna is a frequent contributor to Off The Charts, the blog of the American Journal of Nursing as a blogger and illustrator. This entry was posted in Cradle to Grave: The Color White and tagged art, art and nursing, gender, identity, nurses, nursing, the color white. Bookmark the permalink.